President Nana Addo has ordered the immediate arrest of the head of Ghana Football Association, Kwesi Nyantakyi for defrauding by false pretence. According to Citi FM‘s sources at the presidency, President Akufo-Addo issued the order after a security briefing on Anas Aremeyaw Anas’ latest investigative exposé on Ghana’s football scene. 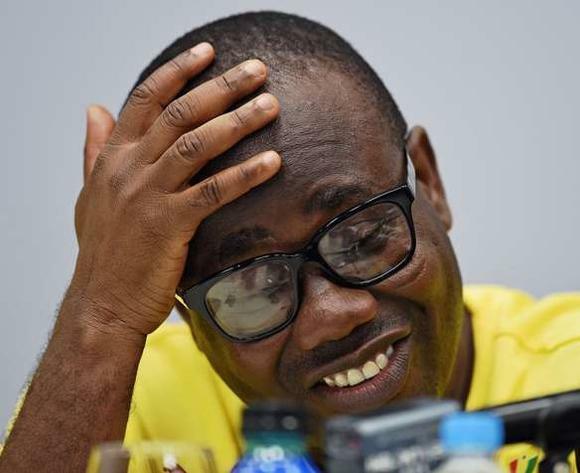 The film, has not been publicly screened yet but it is believed that Mr Nyantakyi who has been the president of the Ghana Football Association for 13 years may have been caught on camera in a compromised position. Nyantakyi is believed to have been captured negotiating a deal using the name of President Nana Akufo-Addo. Earlier Nyantakyi had rubbished claims that top officials of his organisation have started leaving the shores of Ghana in anticipation of the yet-to-be-released exposé. However it is believed that Nyantakyi himself is not in the country at the moment but Citi News sources say he will return to the country tomorrow [Wednesday] and turn himself in to the police. The FA President has been in the limelight in recent times following his fallout and subsequent expulsion of Vice President of the FA, George Afriyie. The move has raised questions about his intentions to seek re-election in 2019 when his current tenure comes to an end, despite stating on record that he will not seek re-election. This is not the first time the GFA President has been accused of being involved in some nefarious activities. British newspaper The Telegraph and Channel, in June 2014, accused the GFA and Kwesi Nyantakyi of being involved in some shady deals to fix international friendly matches for the senior national football team, the Black Stars. However, the Committee revealed that it was necessary to conduct further investigations into two others implicated in the scandal, Obed Nana Kwame Nketiah and Mr. Christopher Forsythe. Ghana Football shaken to the core? Anas’ new documentary, despite not having been aired yet, has already captured widespread public attention. Following his previous pieces which have predominantly been centered on corruption, the most recent of which involved some judges, public anticipation has been sky-high since he announced that his new video would turn the spotlight on one of the most polarising activities our country, football. A number of people have leveled allegations of corruption against Nyantakyi’s administration, however, not many of these claims have been pursued. The Editor-in-Chief of the New Crusading Guide Newspaper, Abdul Malik Kweku Baako said the exposé was going to be “an explosive mix”. Kweku Baako was speaking on Metro TV’s Good Morning Ghana programme when the matter of Anas’ next documentary exposé came up for discussion. Anas has begun promoting the new investigative film simply titled ‘Number 12′.